For those that are unsure, you are indeed able to replace the 2.5" ssd or hard disk in the Lenoco X240. You are also able to insert your own mSata drive (goddamn those things are small) and replace the ram as well. 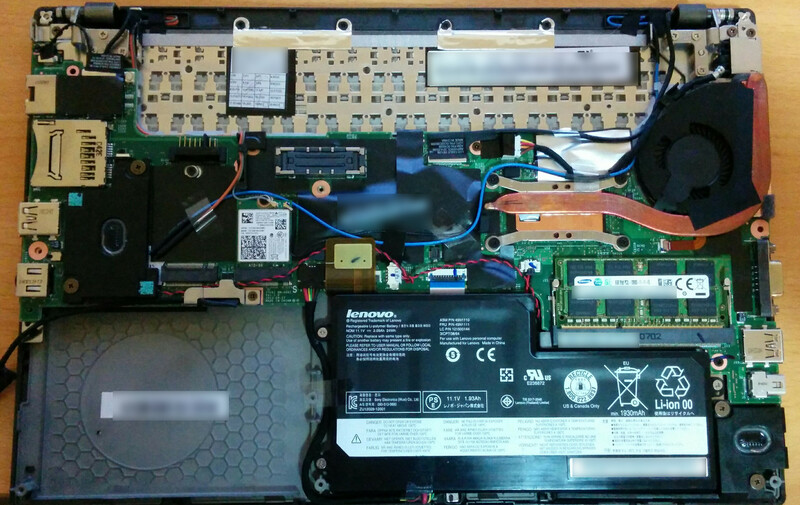 The back of the laptop is not very easy to remove. You will need to have a lot of patience, and be prepared to be frustrated. I will detail in a following post the lessons I learnt from when I dismantled mine. I wouldn't reccomend inserting your own ram module. You won't save any money by buying the 8GB module yourself, unless of course you can find an 8GB module less than the upgrade offered by Lenovo. As far as I can tell, the laptop does not support modules greater than 8GB as this is supposedly a limitation of the chipset used in the laptop. Note: The 2.5" Hard disk or SSD is normally placed in the bottom left of the case in the picture.